The 7th Berlin Biennale invited the former mayor of Bogotá, Antanas Mockus, to comment on one of the projects. Mockus, a political thinker and now, an artist, chose to refer to Teresa Margolles’s work on the current drug war in Mexico, where gangs and paramilitary groups kill each other, murdering many other unrelated civilians in the process. Gangs fight for incredible profits made on the black market for drugs in the United States and Europe. Mockus asks Biennale visitors to commit to not using drugs anymore or to reducing their consumption. You can sign a declaration, and if you want to go deeper, you can also contribute one drop of blood. A large number of such promises could in fact lead to a reduction in the number of murders in Mexico. 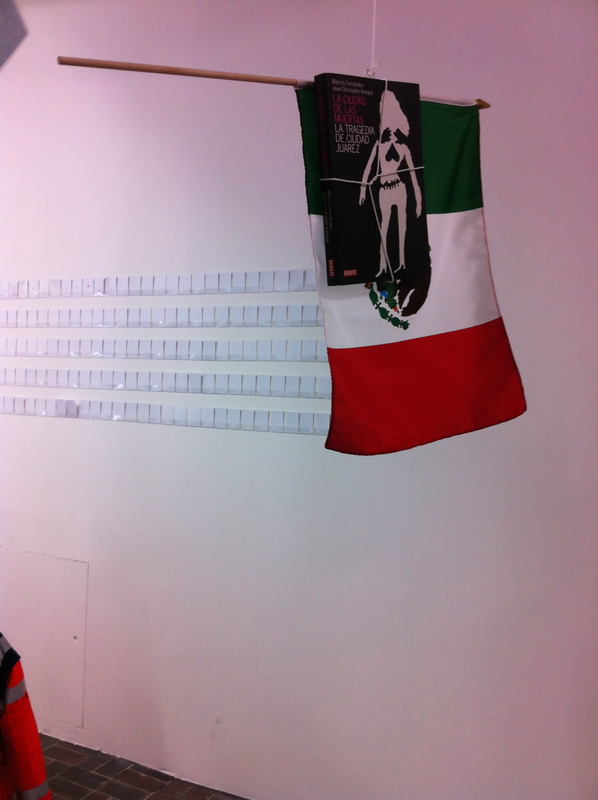 Mockus’s installation aims at changing the Mexican reality and asks people to take responsibility for how much drug consumption in Europe relates to the number of deaths in the narco-trafficking wars in Central America. Antanas Mockus is a philosopher and politician whose approach to politics is based on artistic strategies. In the framework of the 7th Berlin Biennale he also presents a lecture-performance about political suicide based on his own experience in the last political campaign in Colombia. 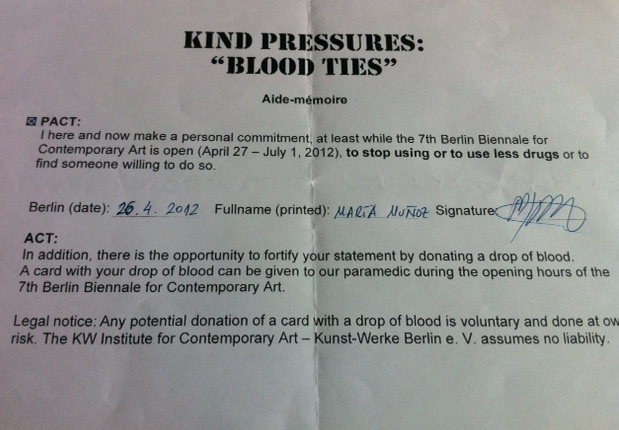 This entry was posted in Archive, Art Centre, Installation, Periodic Art Event (biennale, triennale, etc) and tagged 7th BERLIN BIENNALE, Antanas Mockus. Since 2003 and 2007 respectively, Daniel and Sophia have been recording every journey they make every day using GPS devices. Additionally all areas of their digital communication (e.g. mobile phone text messages) are evaluated and processed artistically. Their work represents an artistic research by means of a digital archiving of their movements. 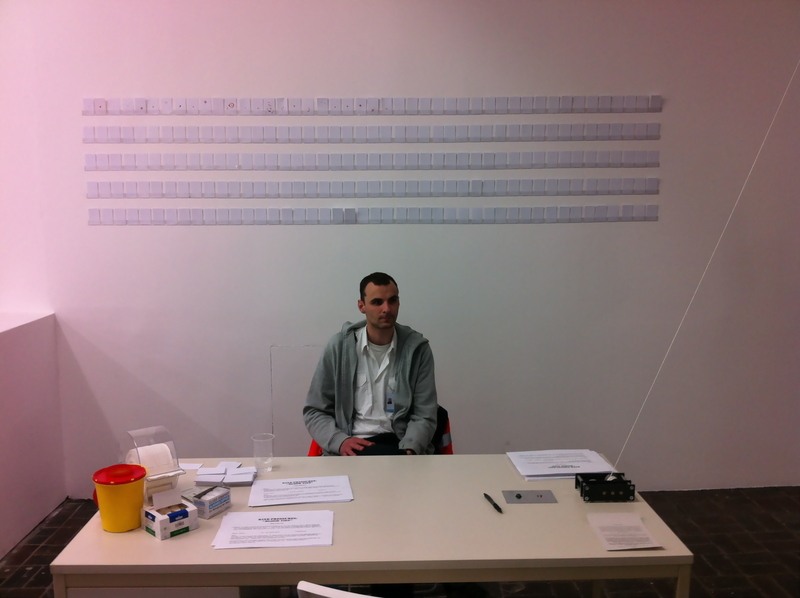 Over the years this practice has become part of everyday life, a form of private and personal ‘sousveillance’, in which the artists generate their own data, thereby reflecting the approach of those private and public agencies who collect all available data. Since January 2011, the artists have also recorded their moods in writing three times a day. This mood diary enables them to compare their emotional life with the GPS traces of their movements and collected text messages. Presentation of the act of remembrance, in human and machine form, provides material for the two-channel video installation Narrating Our Lines, shown here in full for the first time. The video installation shows the artists viewing an animation of the GPS traces of their movements from 2007. With a temporal distance of three years, they then recall past events of their lives through these traces. On one screen, the viewer can see the artists, while on the other we see what the artists see – the GPS traces of their movement. A striking tension is achieved, while they (re)construct the common narrative of their lives. In addition to this installation, additional objects are presented, which have resulted from their practice of collecting several information. 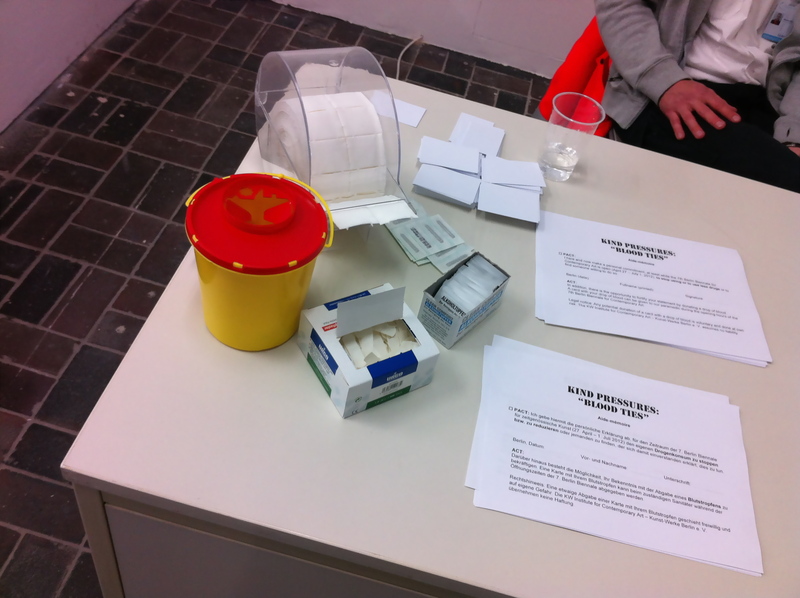 This entry was posted in Archive, Exhibition, Non-profit art space, Video and tagged Art Laboratory Berlin, plan b (Sophia New & Daniel B. Rogers).